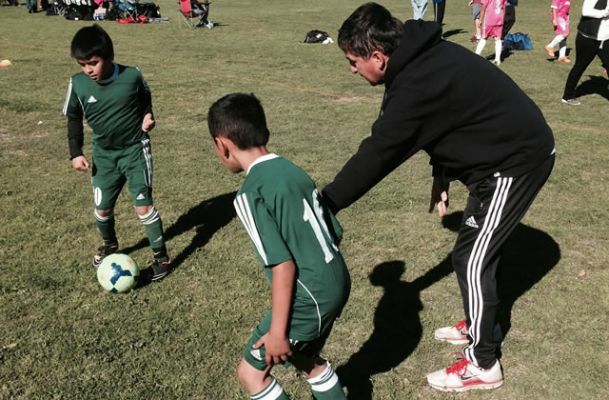 OXNARD- Club Tijuana is always looking to expand its grassroots efforts through the community on both sides of the border. The Xoloitzcuintles continued with that commitment Saturday as the Xolos Academy FC newest youth soccer chapter officially opened in Ventura County. Club Tijuana’s newest addition to the family is the Xolos Academy in Oxnard, Calif. More than 200 participants showed up for a day of tryouts with Xoloitzcuintles coaches from the academy in Chula Vista, Calif. and the “Fuerzas Basicas” or reserve teams in Tijuana. Coaches took the young athletes through a series of drills and exercises to find talented players and showcase Club Tijuana’s coaching philosophy. Leading the coaches was youth system Director of Coaching Ignacio Ruvalcaba, who makes sure that philosophy is used on both sides of the border. Xolos Academy coaches Rene Ortiz and Raul Ortiz also participated in the tryouts that included players in the Under-8 to Under-11 categories participating in the morning session. Players in the Under-12 to Under-14 groups tried out in the afternoon. Those participating in the tryouts also received a treat Saturday. Club Tijuana’s official mascot the Xolo Mayor paid a visit at Southwest Community Park. The mascot posed for pictures and autographed Xoloitzcuintles items as children and their families enjoyed the moment. The Xolo Mayor’s presence at the event is also a testament of Club Tijuana’s commitment to the academy in Oxnard. Xolos Academy FC Administrator Ramon Vazquez talked about the importance of having this event to open up the Oxnard chapter.